BARACK OBAMA IN THE WHITEHOUSE: Republican Bid for the White House in 2012 - Who Are the Candidates so far? Republican Bid for the White House in 2012 - Who Are the Candidates so far? It has been only over a year since President Obama has taken office, but the Republicans are already making allot of noise is developing a stragegy to take back the White House in 2012. So what's up? Apparently there is a list of about a dozen potential candidates that the Republicans have leaked out to the press. Who Are They? Here are the TOP 5....What are their Pro's and Con's? Pro: Former Massachusetts Gov. 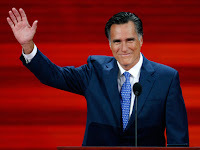 Mitt Romney is widely seen by political insiders as the frontrunner for the GOPs 2012 presidential nomination. His strengths include being seen as "the next guy up" in a party with a tradition of rewarding second-time candidates (think Nixon in 1968, Reagan in 1980, Bush I in 1988, Dole in 1996, McCain in 2008). Other assets include his personal wealth; his efficient staff; his fire-in-the-belly; his work on behalf of Republican candidates around the country; and his business background. Like many aspiring presidential candidates who have come before him, he has written a new book, "No Apology: The Case for American Greatness," which is set to be released March 2. Con: Romney, who dropped his support for abortion rights as he got closer to his 2008 presidential run, faces lingering questions about his authenticity. There also remain certain evangelical Christians who are not sure if a Mormon qualifies as a Christian. Romney showed in 2008 that he can endure the rigors of a presidential campaign. His previous run, however, also makes him something less than a fresh face. Pro: The former Alaska governor is the No. 1 star in the GOP. No other Republican is capable of attracting the same kinds of crowds and media attention that she can. Her recently published memoir, "Going Rogue," sold like hotcakes. Since stepping down as governor of Alaska, Palin has shown that she can get more attention with a post on her Facebook page than her rivals can get from giving a major policy address. As a woman who decided to go forward with her pregnancy even after she learned that her son, Trig, would have Down syndrome, Palin has a strong following in both the special needs and pro-life communities. Con: The downside with Palin is that her run for vice president in 2008 left many voters with the impression that she lacks the intellectual firepower to be president. According to an ABC News/Washington Post poll conducted in November, three out of five Americans think Palin is not qualified to be president. 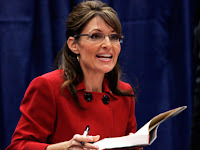 Although her resignation as governor of Alaska freed her up to pursue one of the most widely publicized book tours of all time, the resignation fed an image of her as highly volatile -- not necessarily a quality one would look for in a potential commander-in-chief. Palin told Oprah Winfrey on Jan. 22 that her gig as a Fox News contributor does not preclude her from running for president in 2012. Some Republican leaders say, however, that she is more interested in enriching herself than in building the party. Other Republican officials note that the fascination with her is akin to the fascination with celebrities and that it would not necessarily translate into political support once the nominating season begins. Finally, she has not put together the kind of staff typically required to run a successful national campaign. Pro: The Minnesota governor is packaging himself as a conservative who managed to win and govern in a state which has produced such well-known liberals as Eugene McCarthy, Hubert Humphrey, Walter Mondale, Paul Wellstone and Al Franken. "If I can do it in Minnesota, we can do it elsewhere," he likes to say. Pawlenty, who has talked about the GOP as being "the Party of Sam's Club," is the personable son of a truck driver who is good at portraying the GOP as the party which delivers a better value than the Democrats. Pawlenty was as active as anyone in 2009. He has hired a large and experienced staff and he is not seeking re-election this year so that he can campaign full-time for president if he makes the final decision to move forward with a White House run. 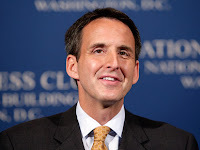 Con: Pawlenty's weakness is that he does not enjoy Romney's personal wealth and he is overshadowed by Palin's star power. He also came under scrutiny last year when Dan Balz of the Washington Post characterized his moves to the right as being "Romneyesque." Pro: The former House Speaker is often described as the best "ideas guy" in the Republican Party. Through his political advocacy group, American Solutions, he has advanced what he calls "tripartisan" solutions to creating jobs, fostering energy independence and reforming education. 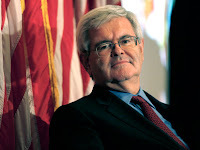 Gingrich, who recently converted to Catholicism because of his wife, stays in the public limelight as a Fox News contributor and prolific author. Con: While Gingrich covets the increased attention that comes from being covered as a potential presidential candidate, most Republican insiders think he will ultimately pass on a 2012 race. Although he is revered by conservative activists for leading the GOP to its first House majority in 40 years, many Republicans remember his tenure as Speaker as a stormy one. There is also a concern that Gingrich's personal and political baggage from the 1990s would impede the GOP's ability to make the election a referendum on the Obama administration. Pro: The former Arkansas governor is one of the most gifted talkers in American politics. Witty and soundbite-friendly, he stunned the political world in 2008 by beating the much-better funded Romney in the Iowa caucuses. Huckabee, a former pastor, has a strong following among evangelical Christians who appreciate his steadfast support for the sanctity of life. He was an early and consistent opponent of the Wall Street bailout and has a politician's knack for remembering names and ingratiating himself with those with whom he comes into contact. 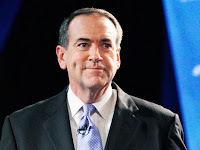 Huckabee continues to do better than any other Republican presidential candidate in hypothetical match-ups with President Obama, according to recent public opinion polls. Con: Despite his incredible win in the Iowa caucuses in 2008, Huckabee never put together the kind of national staff or national fundraising network which would have allowed him to overcome Sen. John McCain, R-Ariz., for the nomination. One reason why Huckabee did not advance further than he did was that he was targeted by the anti-tax Club for Growth which accuses him of going along with higher taxes in Arkansas during his tenure as governor. Huckabee's stock was hurt last year when word spread that he granted clemency to notorious cop-killer Maurice Clemmons. Although the clemency has not yet hurt his standing with the public, it will probably become the subject of attack ads if he becomes a candidate for the GOP presidential nomination. It's not clear whether Huckabee, who has put on weight since 2008, still has the same drive that he had last time. barack obama will come to indonesia..